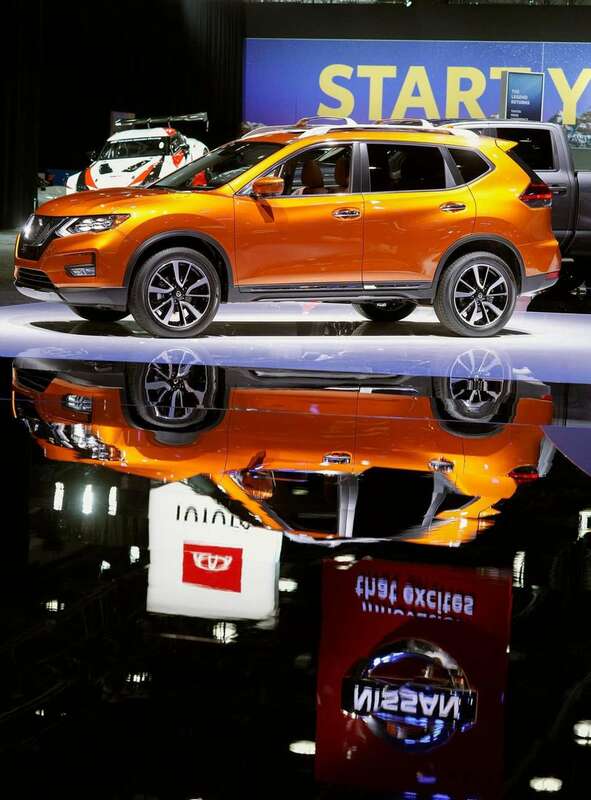 Press days for the Detroit auto show began over the weekend and will be open to the public from Saturday to Jan. 27. 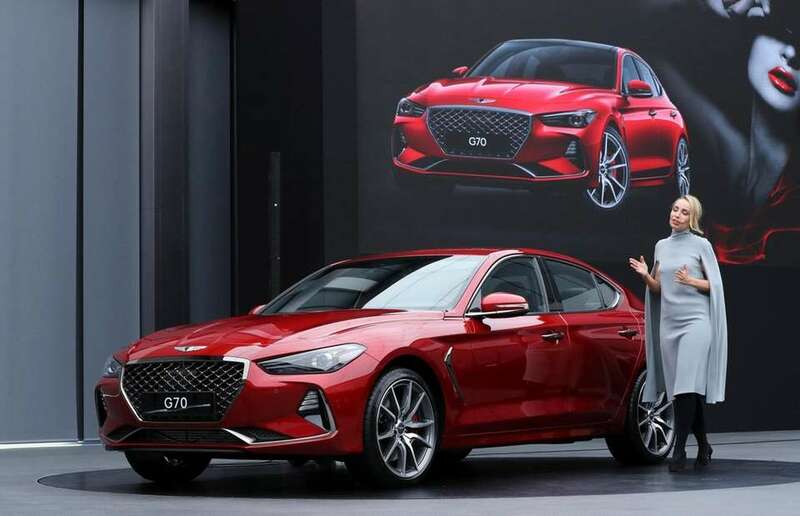 Bozhena Lalova, a head of Genesis Color and Trim of Hyundai Motor Co., speaks to the media next to the Genesis G70 during its unveiling ceremony in Hwaseong, South Korea on Sept. 15, 2017.The Genesis G70 won the North American Car of the Year award during media previews for the North American International Auto Show in Detroit on Monday. 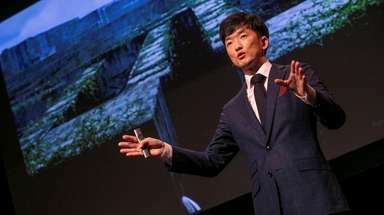 Denis Le Vot, chairman of Nissan North America, reveals the Nissan IMS Concept vehicle at the 2019 North American International Auto Show on Monday in Detroit. 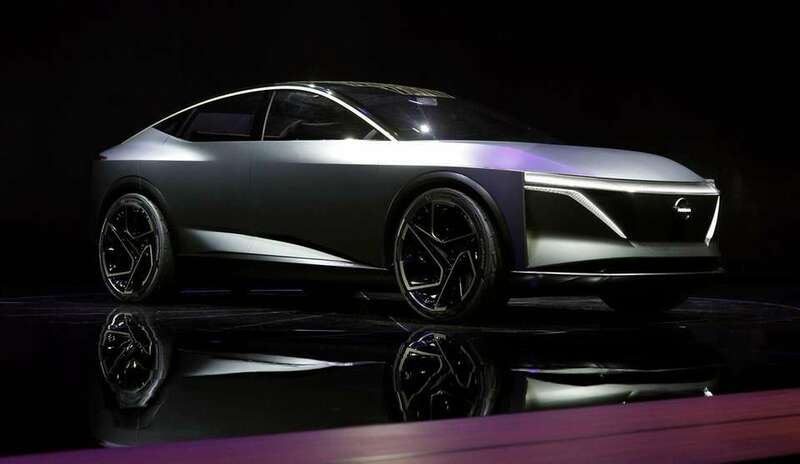 The Nissan IMS Concept vehicle is revealed at the 2019 North American International Auto Show on Monday in Detroit. 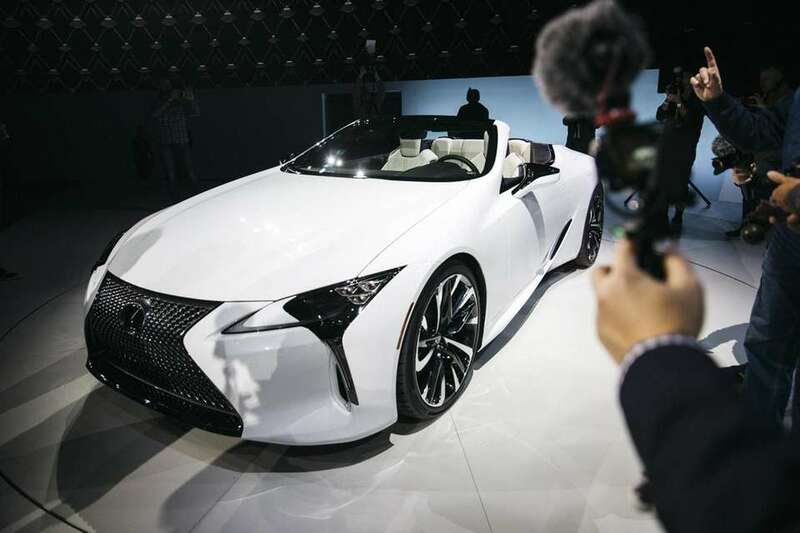 The Lexus LC convertible concept vehicle is displayed at the 2019 North American International Auto Show in Detroit on Sunday. Lexus also introduced a high-performance limited edition of its RC F during the show. The 2020 RC F Track Edition will get more power from its V8 than the 467 horsepower produced by the current version, likely making it the most powerful Lexus, other than the brand's LFA halo car. 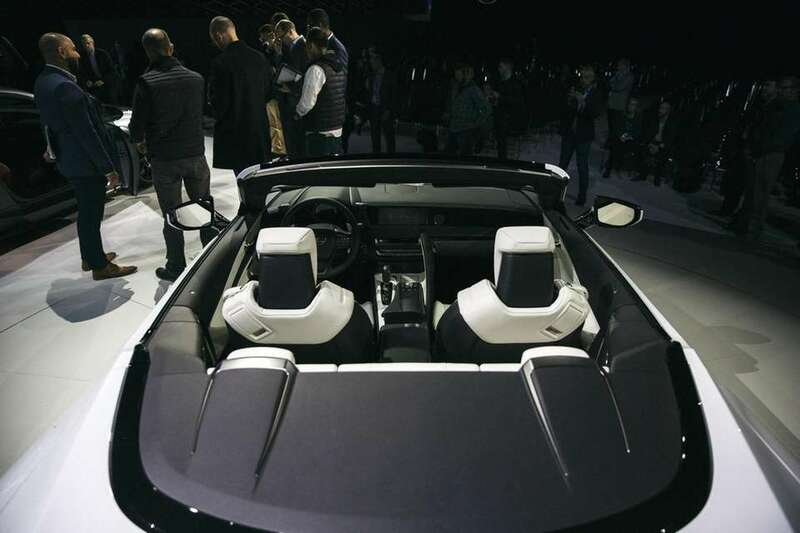 The Lexus LC convertible concept vehicle is displayed during the annual North American International Auto Show in Detroit on Sunday. An attendee looks at the engine of a Falcon Motorsports F7 supercar on display at the MGM Grand Detroit ahead of the North American International Auto Show in Detroit on Saturday. 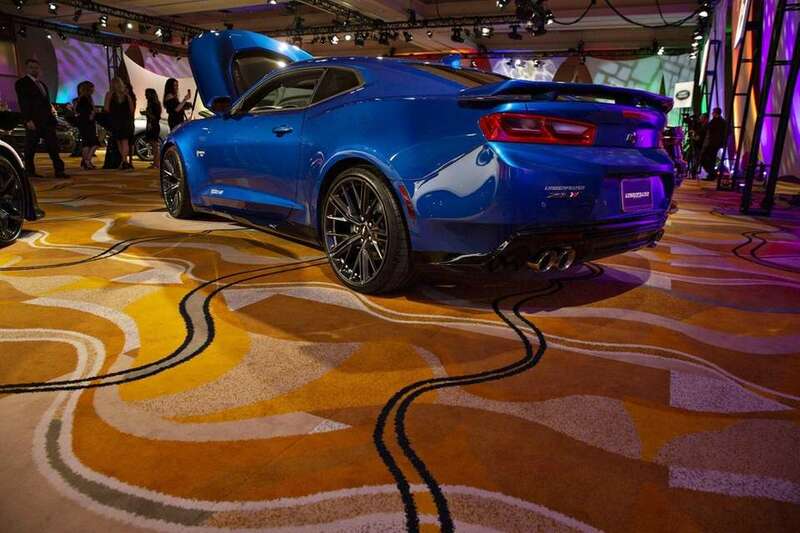 A Chevrolet Camaro with a Lingenfelter Supercharger upgrade sits on displayat the MGM Grand Detroit ahead of the 2019 North American International Auto Show in Detroit on Saturday. 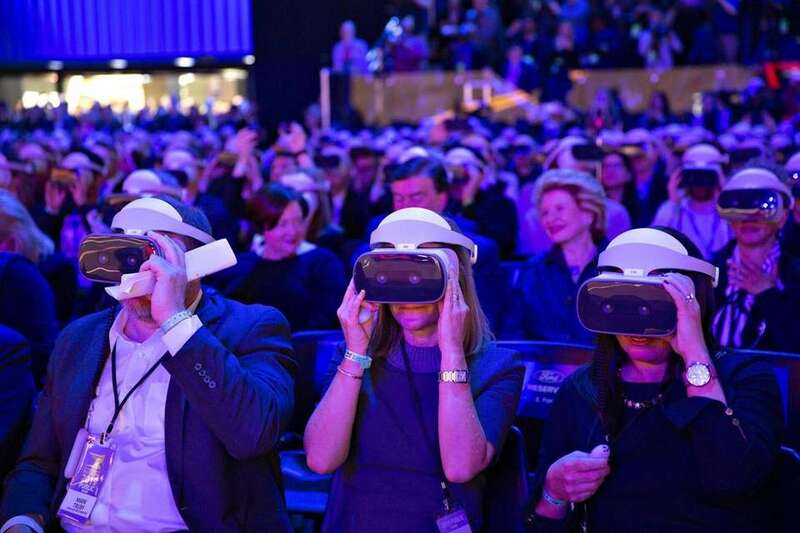 Attendees view a Ford Motor Co. presentation through virtual reality headsets during the 2019 North American International Auto Show in Detroit on Monday. Ford debuted the most powerful vehicle it has ever made: The 2020 Ford Shelby GT500. 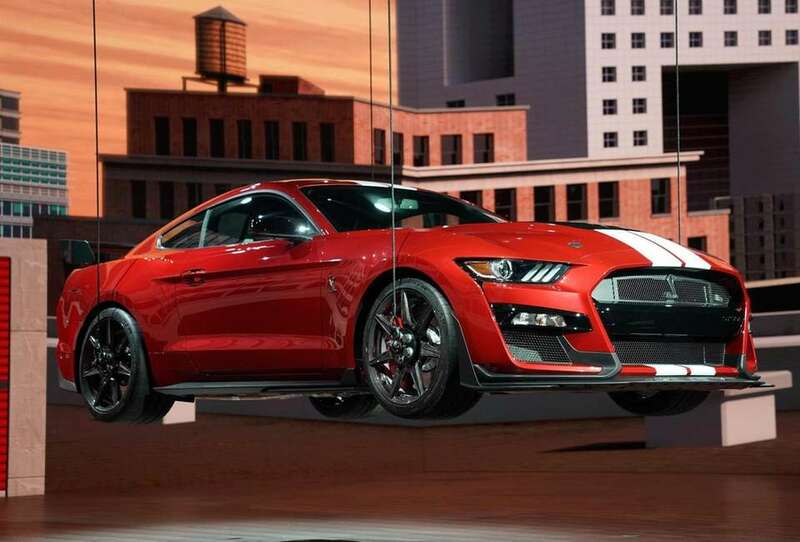 The high-performance Mustang variant comes with a supercharged 5.2-liter V8 and more than 700 horsepower. 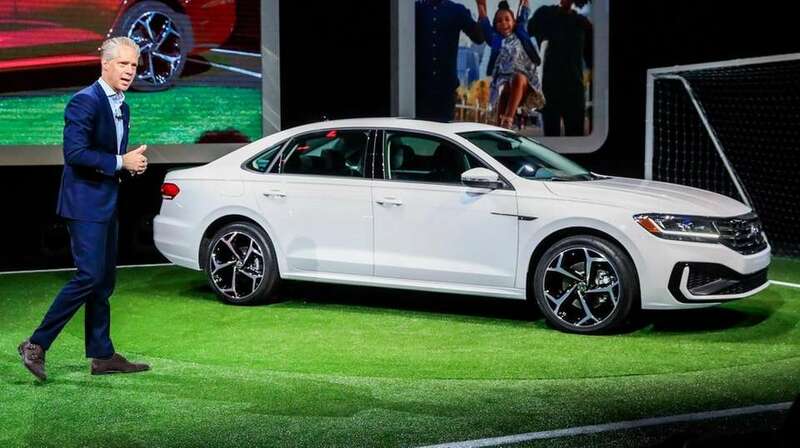 President and CEO of Volkswagen Group America Scott Keogh introduces the 2020 Volkswagen Passat at the North American International Auto Show at Cobo Center in Detroit on Monday. 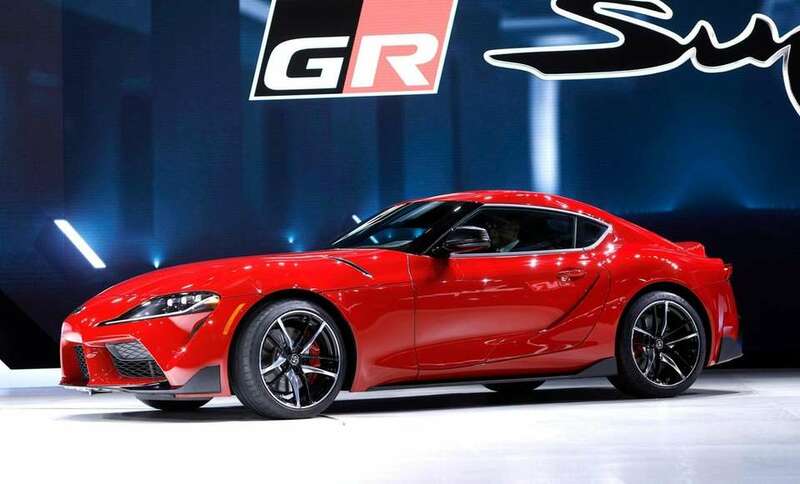 The 2020 Toyota Supra rear-wheel-drive sports coupe is unveiled at the 2019 North American International Auto Show on Monday in Detroit. 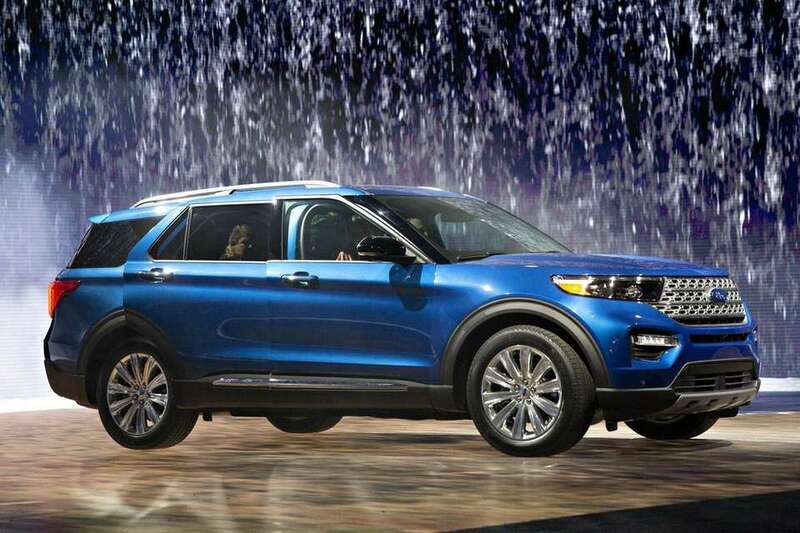 A Ford Motor Co. Explorer Hybrid SUV is unveiled during the 2019 North American International Auto Show in Detroit on Monday. 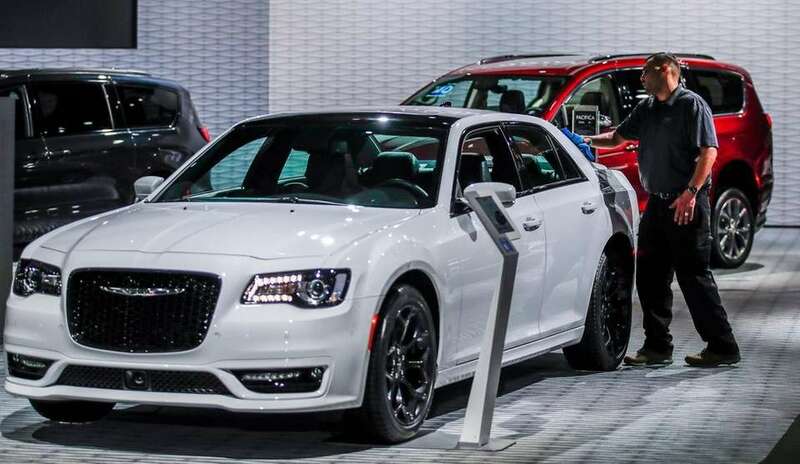 A worker dusts off a Chrysler 300 displayed on the floor at the North American International Auto Show in Detroit on Monday. 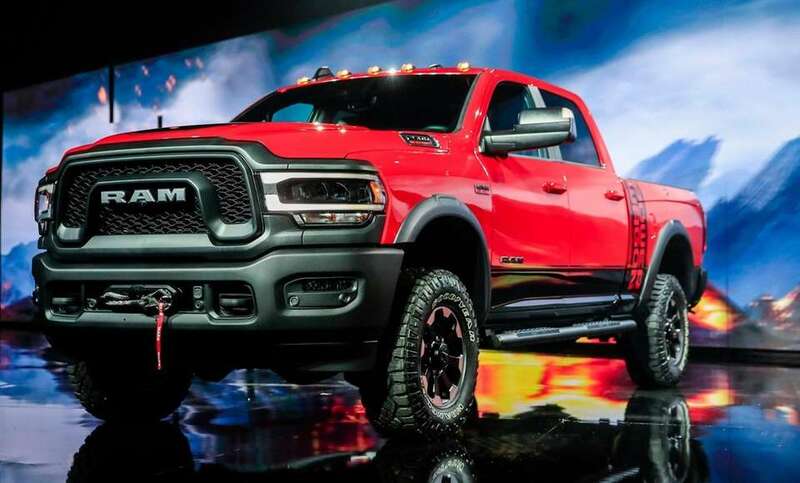 The new RAM Power Wagon pickup truck is introduced at the North American International Auto Show in Detroit on Monday. 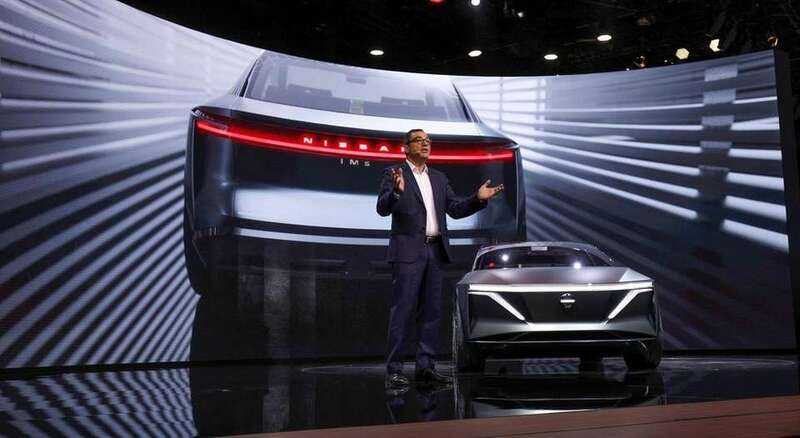 The Nissan exhibit opens for previews at the 2019 North American International Auto Show on Monday in Detroit. The 2020 Ford Mustang Shelby GT500 is unveiled during the first day of previews at the 2019 The North American International Auto Show in Detroit. The interior of a Ford Motor Co. Mustang Shelby GT500 vehicle is seen during the 2019 North American International Auto Show in Detroit on Monday. Considered the most powerful vehicle Ford has ever made, the high-performance Mustang variant comes with a supercharged 5.2-liter V8 and more than 700 horsepower. 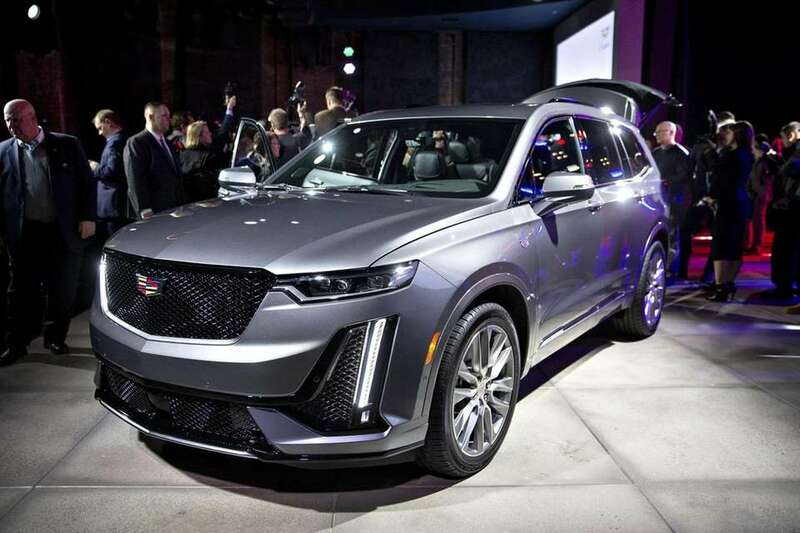 The GM Cadillac XT6 SUV is displayed during an event at the 2019 North American International Auto Show in Detroit on Sunday. The new XT6 going on sale in the spring will be a second model in the lineup with a third row of seats for Cadillac to try to lure away luxury buyers shopping for Audis, BMWs and Mercedes-Benzes. 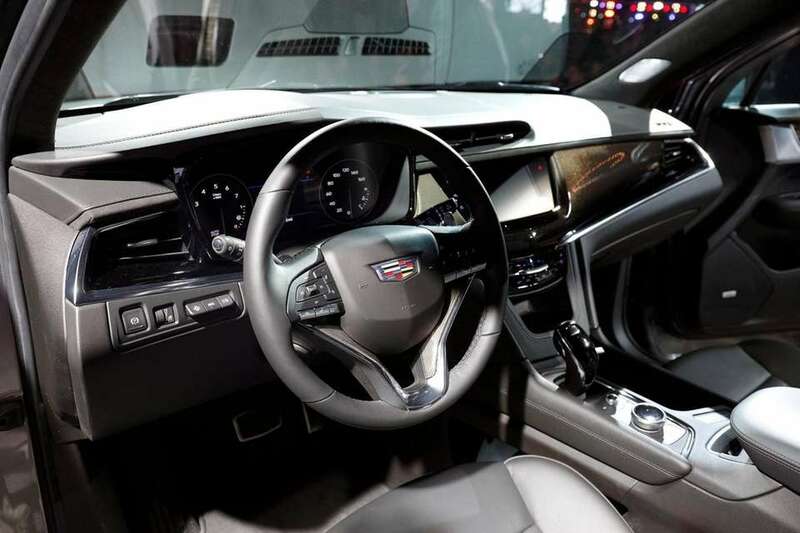 The General Motors Cadillac XT6 three-row crossover SUV is revealed on Sunday in Detroit. 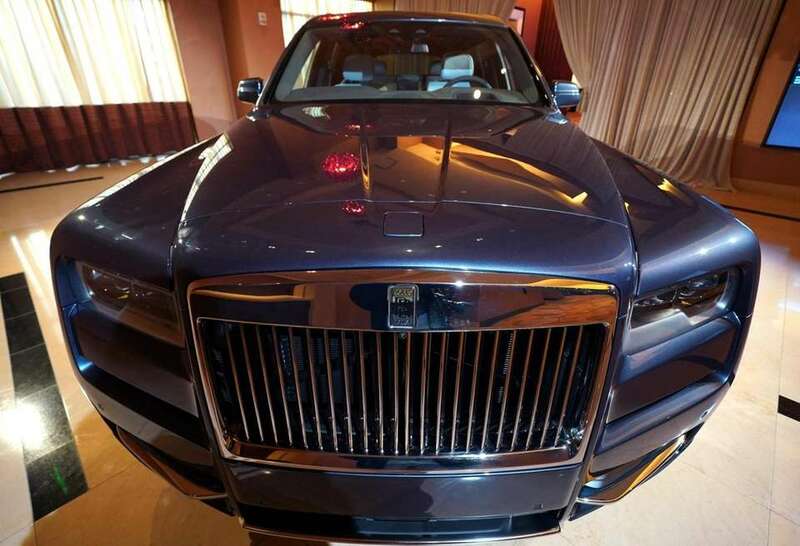 The first SUV made by Rolls-Royce, the Rolls-Royce Cullinan, goes on display in Detroit on Sunday at an event that officially opened the North American International Auto Show. The Cullinan, a reference to the world's largest gem-quality diamond, has a starting price at $325,000. 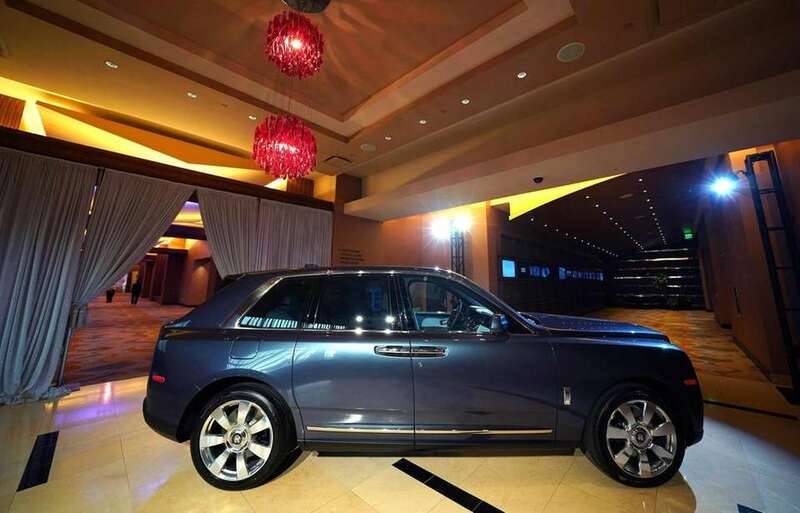 The Rolls-Royce Cullinan, the first SUV made by Rolls-Royce, goes on display in Detroit on Sunday at an event that officially opened the North American International Auto Show. 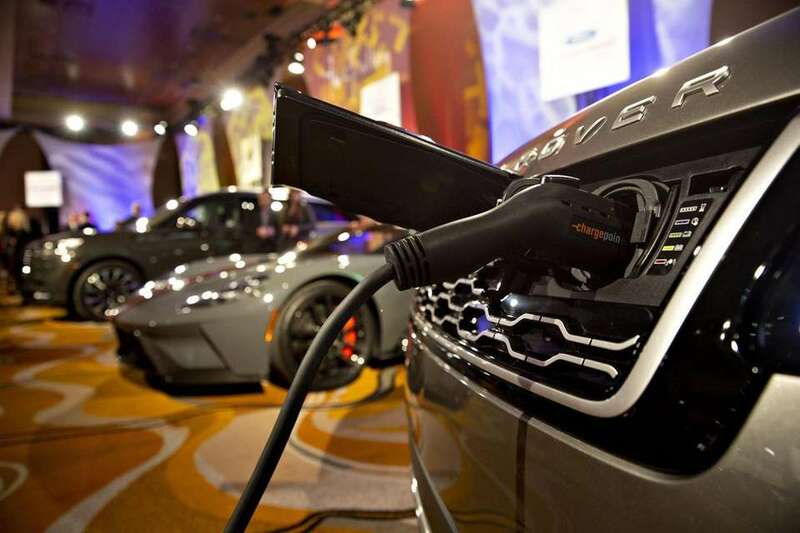 A charging cable is connected to a Jaguar Land Rover Automotive Plc Range Rover P400E HSE Dynamic Plug-In Hybrid SUV ahead of the 2019 North American International Auto Show (NAIAS) in Detroit on Saturday. 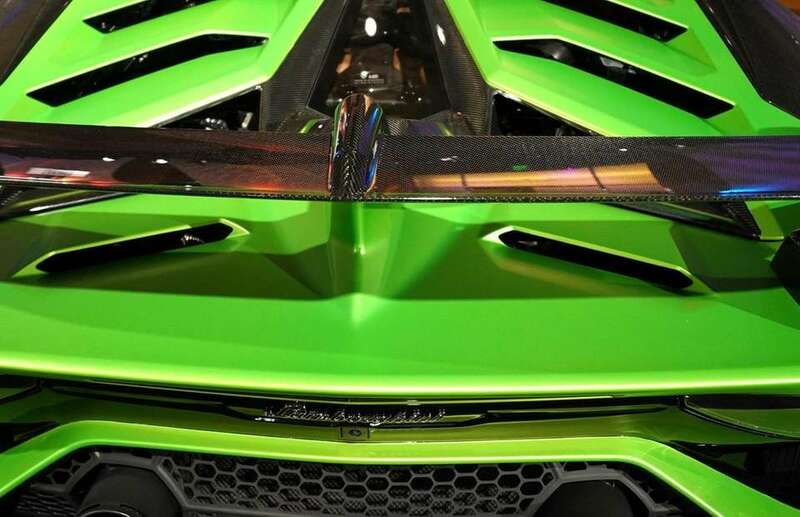 An Automobili Lamborghini SpA Aventador vehicle sits on display ahead of the 2019 North American International Auto Show in Detroit on Saturday. 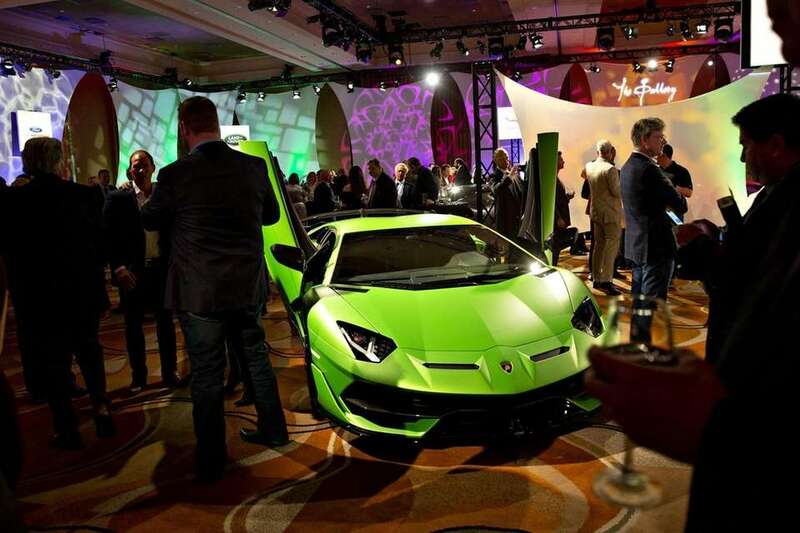 A Lamborghini Aventadoron is on display in Detroit on Sunday at an event that officially opened the North American International Auto Show. 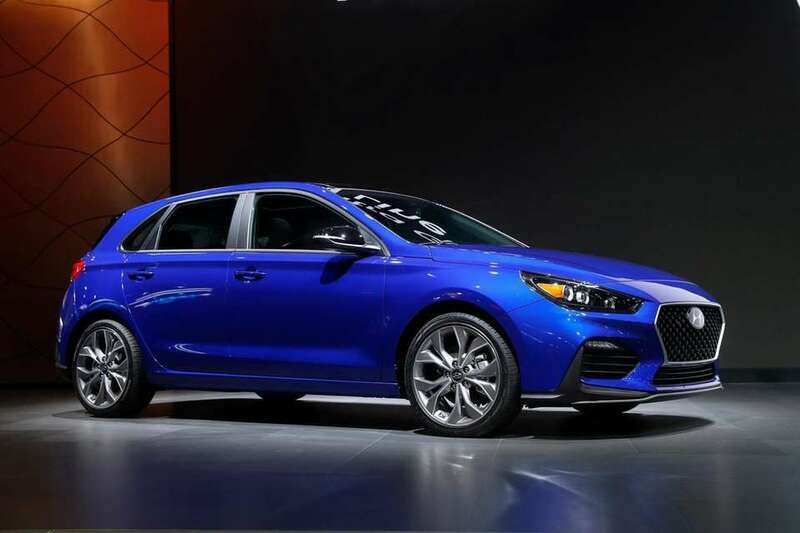 The Hyundai Elantra GT N Line debuts during media previews for the North American International Auto Show in Detroit on Monday.